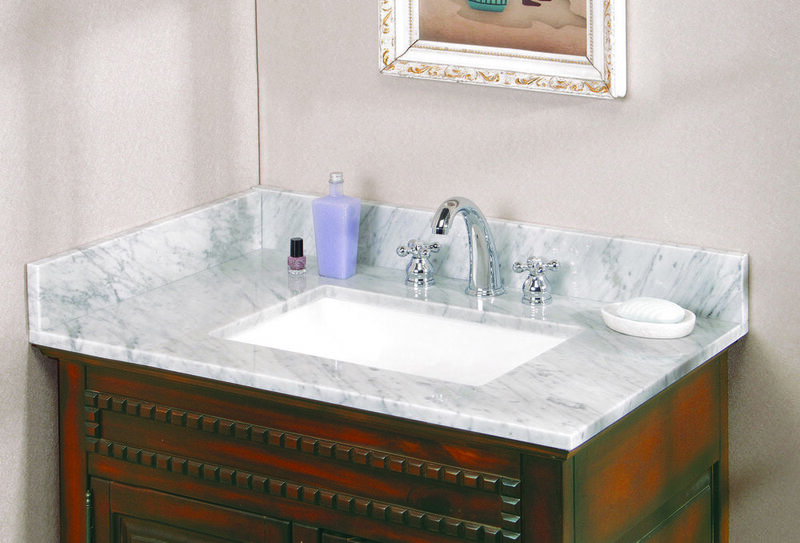 Convenient, modern undermounted trough basin: pre-attached for an easier install, the rectangular shape of this sink instills a lustrous sense of modern dcor to any lavatory or spa. Pre-drilled faucet holes: designed for 8 off-set faucets, these vanity tops are delivered to you ready to install without the headache and mess of on-site drilling. Premium natural stone: ethically quarried by leaders in the industry, these choice cuts of marble will add value to your home and contribute piece of mind to your moral compass. 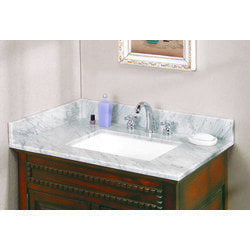 Highest standards, lowest cost: although the marble cut for these vanity tops are of the highest quality, it doesnt mean you cant work below your budget. Selection of widths: offered in 25, 31, 37, 49, and 61 options, youre sure to find a size that fit perfectly in your design plans.